Sculpted MD is proud to offering the live changing procedure called Scalp MicroPigmentation also know as Hair tattoo. This revolutionary and cost effective treatment option for men is sweeping the nation and it is now offered at Sculpted MD Denver. Micropigmentation treatment gives the appearance of a close shaved head and is typically used to hide the signs of balding or thinning hair. Men can find themselves losing their hair as early as 20 years old and some men find hair loss to be an emotional experience which can result in lower self esteem. Typically performed on the scalp from the top down to the hair line on the front back and sides of the head. The appearance has been best described as a close shave look. Free Consultation offered for anyone interested in the Mico pigmentation procedure. Trying to cure hair loss is common now - before the age of 35, about 65% of men experience this challenge but the most amazing thing is that there are only few options for fighting baldness. Having said that, it is appears like numerous breakthroughs are around the corner. These breakthroughs include incredible solutions which are very close to getting FDA endorsement, advancements in hair transplant surgery, etc. There are other solutions that are on their way, but till then, there is this option – Tattooing thousands of hair follicles onto a bald head. This option might sound somehow but it really isn’t bad. We were made to be aware of this option by circa.com although it has been around for several years. This method involves tattooing little dots in place of hair follicles with the aim of making them look like you have a buzz-cut instead of leaving the bald, semi-bald head like that. The amazing part of this option is that it costs around $2000 which is far better than the hair transplant that costs $10,000. It also has an ink option that is not permanent which was meant for people who might not want to leave the tattoo forever. There are almost about 30 million American women who are losing some of their hair and about one third of men are bald. It is important that you know that the option is not really a tattoo or cosmetics of any sort as many think it is. This observation was made by Good Morning America and they found out that it is really an innovative new treatment that can help hide bald or semi-bald hair. Good Look Ink, a company that we profiled calls it “Cosmetic Transdermal Replication” while some other companies call it “Scalp Pigmentation”, “Cosmetic Hair Follicle Replication” or “Micro Hair Technique”. It is important that you know some advantages and disadvantages of this treatment although they are varied. They basically involve the use of ink to make marks just under the skin of your scalp and these marks look like tiny hairs. It is not the same with tattooing because tattooing makes use of a heaver gauge needle and involves the injection of ink much further under the skin and is usually accompanied by bleeding. This is where you should start asking your questions. SculptedMD is excited to have teamed up with one of the best scalp pigmintation artists in Colorado. His work with Hair Tattoos has quite the reputation in Denver, learn more about his services or book a one on one consultation today. Scalp micro pigmentation, otherwise known as SMP is not a hair tattoo that we all know about but a highly dedicated process of depositing tiny pigments within the dermal layer of the skin. 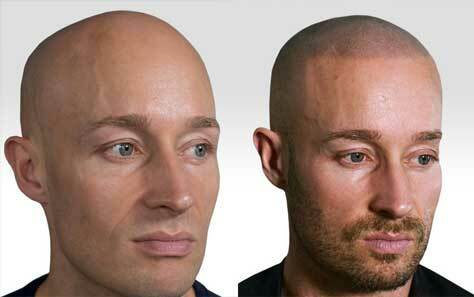 When done by an expert, these deposits look like real shaven hair. 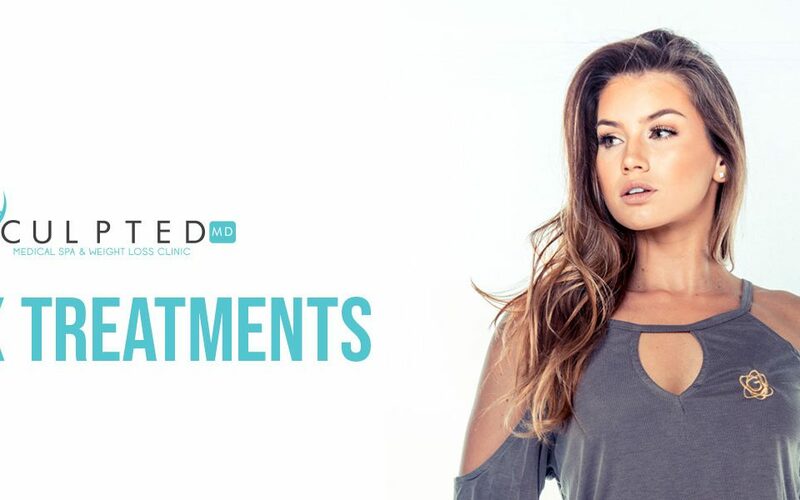 The best part of our SMP treatment is that it is as flexible as you want it to be. Our clients decide how they want it to look like, the style of hair they want, the shape, frontal hairline, side profiles, super-soft “broken” hairline, etc. this treatment was made just to make sure your dream hairstyle can be gotten for you and our staff are highly experienced and trained professionals. They were trained to meet all requirements and can treat whites, Hispanics, black and Asians. This treatment by Sculpted MD hair clinic is the best and long lasting treatment for hair loss. All we need is for our clients to keep their hair cut to the right length using hair clippers, electric face shaver or razor blade. The degree of hair loss determines the length of the hair to be cut. We also advise our clients to prevent dehydration of their skin by moisturizing their scalp. Short touch-ups sessions might be required for some clients for intervals of at least five years. What type of needle do you use? Specialists in the field of hair replications are of the view that tattoo needles are too thick that they cannot produce hair-like looks and so, ask if they don’t make use of such needles. They say finer makeup needles are ideal for hair treatments but the needle should not be a perfectly round one. This needle to be used should surely create the jagged, irregular structure of hair follicles as seen when magnified. They should also make use of brand new needles for each customer. What kind of ink do we use? The blue nature of tattoo inks is not what you would like to be used on your hair. Because of this, you should make sure the facility does not make use of tattoo inks neither should they make use of cosmetic ink. They might not be willing to tell you the ink they make use of in their facility because of competitive reasons. Ask them of any Material Data Safety Sheet (MSDS) that you can read and know about the ink. You should go for facilities that make use of custom color for their treatment; colors that match your natural hair or one that has a wide range of colors for clients to choose from so you can find your desired color. This treatment option is pretty new and so, you should bear in mind that the long term result of this is not yet known. Some companies that make use of this option have this to say: “the ink can fade and customers may have to undergo a re-treatment after some years”. Can I see the results of this treatment on someone? You should ask this question to the company and never believe what you see on pictures or videos because of the advancements in technology that has made so many things possible. The Federal Trade Commission has caught several companies that forge “after” pictures so as to get customers. Insist that they show you someone who had hair baldness that got treated. More than one person is ideal. Can I grow my hair out later? For guys, do not go for this treatment if you are not ready to carry the buzzed hairstyle. For women, you can get this and it will grow back as this is not an issue with women. What results are realistic for micopigmintation? The expertise of the practitioner that will treat you and the quality of the pigment used determines the result you get at the end. All our staff is taught with the same standard and the aim is to make sure that the same high quality results are delivered to all our clients at all time. SculptedMD is the gold standard for Scalp Micro Pigmentation and our staff is undoubtedly the best in the Denver. After the treatment, only those you choose to tell are the only ones that will know the hair is not real and they go back to their workplaces and social circles fully confident. Many clients fail to tell their partners about their treatment and they don’t get to find out. This is because of how realistic our treatments are. What if I lose more hair? You should ask the treatment company about this. During the treatment, they blend your natural hair with the ink such that if you lose more hair, then the simulated hairs would be there for camouflage. Do not forget to ask them if there is any problem if you go for an additional treatment later if needed. What if I want my hairline to become less visible in front as I age? If you want your hair to recede as you age, then this is not for you. This is the major challenge for this treatment and for this reason; it is advised that you have a conservative new hairline. You can go for a retreatment if you want them to recede later in life. What will I do when my natural hair starts to go gray? Whether this treatment blends with someone’s hair as they turn gray is not known because this treatment is new. Some companies say they can treat gray hairs with gray pigments. So, if you want to receive the treatment and still want to do away with it someday, then you must ask lots of questions about this. Can hair replication be combined with other baldness solutions? People who promote this treatment say they like it because it can be used to hide scars from hair transplant operations, alopecia that involves the loss of some patches of hair. They also say it is ideal for men who have been wearing artificial hairs to remove them without anyone knowing talk more of admitting they once wore it. it will look like the man just wanted a buzz off of his hair. Is sun exposure a problem? Yes the sun can be a problem. Companies that administer this treatment say that ultraviolet rays affect the ink used and so, they advise that their clients wear sunscreens or hats if they are planning on staying under the sun for a long time. This should be considered also before you go for the treatment. Is it safe? This treatment is pretty new and so, there are no much data to be used to find out if it has some side effects. The best comparison to make with this is with permanent makeup and tattooing. The only concern with these procedures is the cleanliness of the needles used and clients might be allergic to the ink used. It is advised that you ask the company if they make use of brand new needles on each client. You should also get a small patch test on a small part of your scalp before applying it to the whole hair area. How long does scalp pigmentation last? An average person who underwent this treatment and maintains an average lifestyle need scalp micro pigmentation session every 3 to 6 years. There is no direct answer to this question. This treatment is a permanent solution for hair loss but however, a touch-up session is always needed every few years so as to ensure that it maintains its realistic look. The main question to be asked is how long most patients can use their hair in between sessions. Will it be needed every two years? 3 years? Every 10 years? On the average, nicely done scalp pigmentation can last for 3 to 6 years before another one can be done. This is on the average and can be altered by so many factors like the client’s lifestyle, immune system and his or her preferences. If you do things right, a retreatment can be done every 5 to 7 years. If you just want a little fading to be put straight away, then it will need a retreatment every 2 to 4 years. The bottom line is that an average client, who lives an average lifestyle, will need a retreatment session every 3 to 6 years.